There are many reasons why builders and owners everyday are choosing to build structures using LiteForm Insulated Concrete Forms. Energy prices continue to rise and the only line of defense is to build an envelope using super efficient concrete structures. 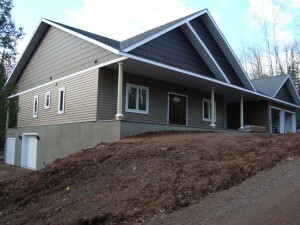 Insulated Concrete provides the world’s strongest, most energy efficient building envelope. Whether you are building a home, shop, safe room, school, or hotel, LiteForm can be used in any building project. The forms resist deadly winds and fire and are earth friendly. The patented hinge tie makes shipping and handling simple compared to solid block ICF’s.